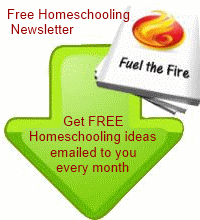 "Do you know where I can find ideas to create a project to celebrate the 100th day of home school. Last year we made a farmyard scene using 100 stickers of farm animals & fowl with their babies. I need a new idea. Thanks, M."
Well, how can I resist a challenge like that? Especially as this was new to me - it isn't something we do in the UK as far as I am aware. So I have been collecting together 100 days of school project ideas to share with you. I hope you enjoy them. 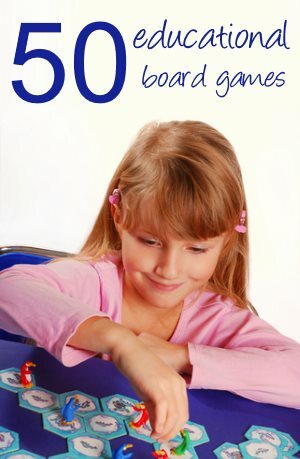 I have tried to choose ideas 100th day activities that would be both good for a group (a homeschool group for example) and those that would be easy to do at home with just a few children. Bring in a large branch to decorate with 100 leaves. You could try to find 100 different shaped leaves or for ease cut 100 of the same. If you have lots of time then you could write something on each leaf - a memory, a fact learnt, a blessing. 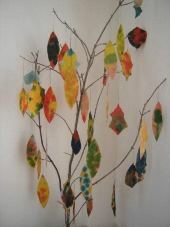 For more detailed instructions about making the tree and some leaf decoration ideas, see this page. Paper cranes are easy to make and look beautiful in lots of bright colors. 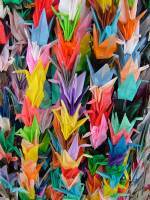 As part of the lesson you could tell the children about Sadako Sasaki and how she made 1000 peace cranes. There are folding instructions for the cranes here. When you have made them, why not leave them for people to find as random acts of kindness. Have some fun with money by showing the children how 100 cents make a dollar and 100 $1 bills make $100 dollars. This would be a great opportunity to do some math, and talk about the history of money (especially paper money). Then - get the children to design their own money! What would an updated $100 look like? There was a project launched in May 2011 that asked artists to do just this. You can see their designs (and participate) here. And then of course, you can decide how to spend it! 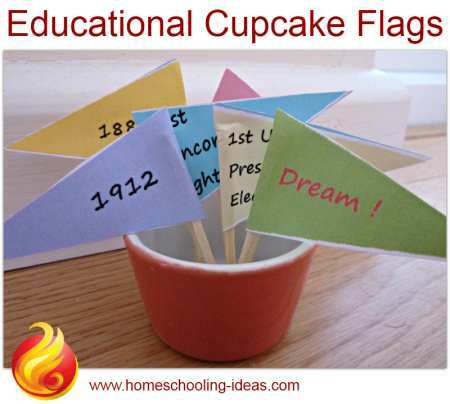 Make 100 cupcake flags and stick them into a cake (or pieces of playdough!). 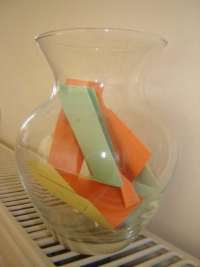 I have some blank cupcake flags that you can fold over onto cocktail sticks. There are lots of things you could do with the flags. Write the numbers 1-100 on them with small children - or perhaps 100 things to celebrate for older ones. Or use them the way we use our cupcake flags - to make history markers and celebrate something that happened 'today' over the last 100 days. How many different items can you fit into a box? For older children then it is fun to use a matchbox and see how many different items they can fit inside it. Can they get to 100? Think small - thread, paperclip, seed, bead and so on. For younger children you may like to use a bigger box, a shoebox perhaps. This gives them more chance of fitting 100 items inside. Make a display of 100 curious or interesting items. 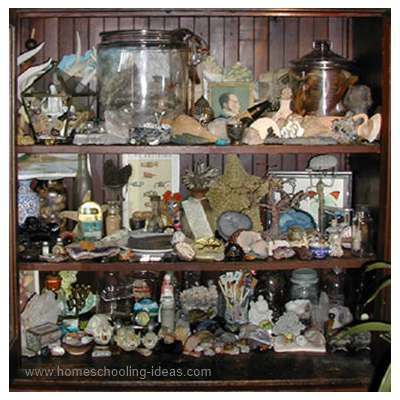 Ask the children to help you find 100 interesting items and make a cabinet of curiosities. Lots of things are really curious when you think about how they were invented or how they are used. A book is a historic demonstration of gutenberg's printing press. People used to write with feathers. Sting is made from tiny threads twisted together. Get your imagination running wild and see what you can come up with. I loved this simple idea that I found on this site Draw a large old-fashioned bubblegum machine onto card. 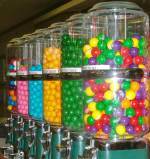 Use brightly colored sticky dots to fill the machine with 100 gumballs. See - I told you it was simple. But very effective I think. My children love quiz questions and this would be a great way to quiz them about what they had learned over the last 99 days, or just ask them general trivia questions. In the UK we have a quiz program called Mastermind, and it would be fun to set up your quiz like this TV program. Get each child to 'take the chair' to sit in while they answer questions - and keep score of their correct answers. You could either ask 100 questions - or quiz each child for 100 seconds. Need some questions? I have some printable quiz questions you can use. Do a 100 piece jigsaw puzzle. Decorate the front of 100 blank postcards and send them to friends and relatives. Make a paper chain with 100 pieces of paper. Print 100 words and see if you can make a story book from them. I hope you enjoy these 100th day activities and have fun celebrating.